on the review of firearms licensing. I and many other licenced firearms owners observed with horrified frustration the Committee meeting of December 17. As a result of what we witnessed, much of which we found offensive and baseless, many of us chose to make submissions to the Committee as individuals in addition to those submissions made on our behalf by our sports’ national governing bodies. It is our collective belief that the current proposed review of the Firearms Act was not examined correctly in that meeting, and we wish to address that. I am a licenced firearms owner and have been for fourteen years now. For seven years before that, I shot with club-owned firearms as a member of an authorised target shooting range in Trinity College. I have acted as range officer, chief range officer and secretary for two target shooting clubs, and have trained several hundred people to shoot safely over the last two decades. I have represented my country internationally both as a team manager and a team member and have medalled doing so. I am also an ISSF-qualified judge and have acted as such at international competitions. I served on the committee of the national governing body for several years as PRO and secretary and as a general member of the committee, and consequently was involved in the legislative process for the Firearms Act amendments contained in the 2004 Criminal Justice Bill and the 2008 Criminal Justice (Misc. Provisions) Bill, working with Ms.Walsh’s predecessor in the Firearms Unit as well as several others and as part of the supporting team behind our representative on the Firearms Consultation Panel established by Minister Ahern. I have studied the Firearms Act for approximately ten years now as a consequence of this, have authored a clause in it, and have contributed edits and corrections to other sections of it relating to firearms licencing. Based on two decades of experience with firearms in Ireland and a decade of study of the law under review, I wish to make the following submission for the Committee’s consideration. I do so as a private individual. The proposals put forward by the working group seek to introduce unwarranted restrictions to what are already the most restrictive firearms laws in the EU. The supporting data for these proposals contains mathematical errors, has been presented in a biased manner and without any context by which to gauge the data, and much of the supporting data does not actually have anything to do with licenced firearms ownership and so does not support the proposals. A large amount of information was not adequately or correctly presented to the December 17 meeting of this Committee, and the decisionmaking process has been skewed by this and by the choice of language that has been used throughout that meeting. In this submission, I wish to address these points and present to the Committee the errors in the data, the context that data should have been presented in, some legislative anomalies these proposals would create, a number of legal points which these proposals have not addressed and which were never revealed to the Committee, and suggest a means by which these problems could be addressed. A clear and unambiguous set of rules regarding firearms licencing which are readily readable by everyone and which are enforced equally in all Garda districts. At present we do not have this, and despite decades of experience, the only available answer to many basic questions posed by newcomers to our sports is “you have to ask your local Superintendent” (a prospect which most right-thinking members of society tend to find intimidating). This situation has arisen because the Firearms Act, instead of being a clear and universal law, is instead at present a legal morass that takes expertise to read and whose enforcement varies from Garda district to Garda district. As such, the Firearms Act in practice is not so much a law in Ireland at present as it is a collection of mostly undocumented whims which varies from place to place. This is an intolerable situation, and one which these proposed changes does not resolve, but exacerbates. My recommendations to the Committee are simple and straightforward. I recommend that the review be rejected in its present form on the grounds that it requires further consideration and that it be submitted to the Firearms Consultation Panel under the aegis of the Minister for that consideration in an open and transparent manner. I recommend that before any further changes are made to the Firearms Act, a restatement under the 2002 Statute Law (Restatement) Act is prepared and enacted as called for by Justice Charleton and the Law Reform Commission, thus allowing us to see clearly, in one document, what the actual and complete state of the Firearms Act is and where any errors or deficiencies lie. Detailed observation of the video footage of the December 17 meeting of the Committee led to a list of over sixty non-trivial problematic statements made by various Members and Witnesses at the meeting. A full treatment of these would be too extensive to include in a concise submission but in many cases the response to these statements contains important information. Therefore I have addressed some of the more important problems within the submission and the remainder are attached to this submission as Appendix A which I urge the Committee to examine. I wish to begin by highlighting a serious problem with the incorrect and inaccurate language the Committee’s Members and Witnesses used in the December 17 discussions. This language introduces unconscious biases and prejudices to the Committee’s decision-making process, and should not be used if the Committee wishes to remain fair and balanced in its deliberations. Most illustratively of this, the Committee Members and Witnesses continually used the word “weapon” in the December 17 meeting. An Garda Síochána do not issue weapons licences. Such licences do not, in fact, exist anywhere in Irish law. This is logical since a weapon is something that has been used to harm another person. Anyone presenting themselves to a member of the Gardaí seeking such a licence is therefore confessing to at least assault causing actual bodily harm. The term is inaccurate and highly prejudicial against law-abiding members of society. Target shooters and hunters and vets and sports officials and farmers do not have “weapons licences”. We have firearms certificates. These firearms certificates are issued by the Gardaí in respect of sports equipment, or farming equipment, or veterinary equipment or airport safety equipment. These items are not weapons. Referring to them as weapons is to imply a context which is defamatory and offensive to all firearms owners in Ireland, a point noted by Garda Superintendent Aidan Glackan in 2009 when addressing the Firearms Consultation Panel’s public meeting on the range standards Statutory Instrument. Weapons do not get licences. They get evidence tags. all component parts of a firearm (in other words, under the law, the wooden cheekpiece on my air rifle is a firearm in and of itself, as is every nut and bolt contained within the air rifle). This broad definition has enormous impact on the accuracy of statistical data as what is referred to in Ireland as a firearm may not be a firearm anywhere else in the world; and also any firearm which is decommissioned and kept as a family heirloom may still be counted in statistical reports as a firearm even though it can never again function as one. Minister McDowells answer to Written Question 617 of June 28 2005 (which asked about the statistics for stolen firearms) is illustrative – see page 21 of this submission. “Lost” when referring to firearms should be noted to mean “beyond recovery”, as in “lost in a house fire” or “lost overboard” (such as in the case of an Army Steyr Aug which was lost overboard from the LE Ashling in 2006). To not take note of this meaning gives the misleading and prejudicial impression that firearms owners have a habit of putting down a firearm and forgetting where they left it. The sheer cost of such a piece of equipment alone would preclude such a habit, let alone the seriousness of a missing and unaccounted-for firearm and the legally mandatory reporting of such an error to the Gardaí should lead to a vigorously enforced search for the firearm followed by the mandatory rescinding of all the owner’s firearms certificates on the grounds that Section 4(2)(b) of the Firearms Act does not permit the Gardaí to allow any firearms certificate to remain issued to the owner of the firearm under such circumstances. It should also be verified when speaking of statistical data in this regard whether the numbers being given refer only to lost firearms or to both lost and stolen firearms. Breakdowns of what exactly constitute firearms in this data should also be sought as this is vital information (see page 21). “Assault Rifle” is one of the more troublesome terms used on December 17 because nobody using it appeared to understand what it meant. Given that it is a term which causes enormous and prejudicial concern to the general public, and because it was at least once hinted that such firearms are used in the Olympics, this term warrants specific comment. the second clause in the definition required a subjective judgement be made on the cosmetic appearance of a firearm to determine whether or not that firearm was restricted. This last concern was not a trivial one because if one Garda felt it did resemble such a rifle and another did not, then a question arose over the validity of issued firearms certificates for the firearm. Further, any law which requires a subjective decision to be made on a case by case basis prohibits a clear understanding of what the law is by any member of the general public. In one Garda district, a firearm might be unrestricted; a mile down the road in a neighbouring district -– or even at night when that Garda station closes and the district is subsumed into a larger district — the firearm might become restricted and the owner would be in breach of the Firearms Act. As a restricted firearms certificate is legally separate from an unrestricted firearms certificate –- as opposed to being an unrestricted firearms certificate with additional permissions attached – it would not be possible to simply apply for “the harder” certificate to solve this problem as that concept doesn’t exist in the Act. I wish to point out that Chief Superintendent Healy’s assertion that the subjective nature of this test is dealt with in the act is simply wrong – the issue is the word “resemble” in the Act, which requires a subjective decision be made, and such decisions can never be consistent; merely asserting as he did that the Act says “resemble” only describes the problem, it is not a solution to it. If the Committee is to use the term “assault rifle”, it should be fully aware of the two separate definitions of the term and the serious legislative and practical issues associated with the legal term. The phrase “why would anyone want this” and its many variants were used several times by several Members during the December 17 meeting. This is worrying because it strongly indicates that these Members have already arrived at conclusions before hearing the presented evidence in the Committee meetings. It further indicates that these conclusions are that anyone who owns a firearm in Ireland is in some way suspect of criminal behaviour or criminal tendencies; that they cannot be right-thinking members of society but must be deserving of deep scrutiny and suspicion; and that the purposes for which they own these firearms must be nefarious or at least frivolous and unnecessary.These Members – rightly — would not for a moment entertain the notion that Katie Taylor or Paddy Barnes or other Irish Olympic boxers should be viewed with suspicion on the grounds that boxing is just practicing for street brawling. Such statements would seem obviously false, even ridiculous to these Members. They nevertheless did not blink at making these statements in regard to target shooting. One can only assume they did so in ignorance of the incredible sporting achievements of the last few decades by target shooters in Ireland and one can only hope that once they are informed of those achievements they would reassess their positions. After all, the Irish Chef de Mission at the Rio Olympic Games is a clay pigeon shooter. It would be unfortunate and embarrassing for Ireland if several members of the Dail and Seanad publicly held the view that the Irish Olympic team was being led by someone whose sport automatically made them a nefarious character.If the Committee wishes to know why someone would want to take part in an international sport and represent their country, to try to reach the limits of their sporting ability and push beyond them, to achieve a goal they did not think they could reach when they started;if they wish, in other words, to know “why would anyone want this”, then they can call in the head of the Irish Sport Council, the head of the Olympic Council of Ireland or indeed any high level athlete from any sport in the world to speak with them, because the answer is always going to be the same. It hasn’t changed since George Mallory was asked why he wanted to climb Everest. Lastly, the general assumption made in most statements on December 17 seemed to give the impression that the Members thought of target shooters, hunters, farmers, vets and other firearms owners as being in some way separate from the general public. I wish to explicitly state that we are not. We are the public. We are your family, your friends, your coworkers and your constituents. We are engineers, doctors, solicitors, Gardaí, postmen, nurses, teachers and parents. When you state that you are concerned about public safety, you are stating that you are concerned for our safety, and while we appreciate it, we would also appreciate it if you did not unconsciously imagine us as some separate group, distinct from the rest of the population. Too often that unconscious assumption creeps in at the edges of thought, sometimes even to the point of appearing explicitly in language in the debates in the Dail and Seanad on each of the bills relating to the Firearms Act and in the many, many committee hearings and written questions and other such correspondence and statements made over the decades. It would be greatly reassuring if this Committee set the standard for all future Committees in this regard. In this second section, I would like to discuss the nature of the data being used by the Committee in its deliberations. Much was made on December 17 of the statistics with relation to firearms held, lost, stolen and so forth. It is pleasing to see that the Committee places sufficient value on data to seek it out; but it is troubling that so little critical analysis of that data and its sources took place and that what little there was, was prompted externally. The only source of statistical data so far has been PULSE, and the Garda Inspectorate report’s criticism of the data quality in the PULSE system, and the subsequent establishment of a new Data Quality Team and the statements regarding this by the Minister on November 11 2014 would strongly suggest that the data being presented from PULSE in regard to firearms requires at a minimum a degree of auditing that does not appear to be happening and which should be reported upon to the Committee publicly. I can, for example, point out that I have noted errors in my own firearms certificates to the Gardaí for many years but they have never been rectified. These errors include missing digits in serial numbers and an incorrect calibre recorded on one of my rifles. These errors are not due to incompetence, but obvious errors in the design of the PULSE system (as a software engineer I recognise the cause of some of these errors, which appear to be due to the data entry program treating serial numbers and calibres as numeric data instead of text data). I have also observed errors in other shooters’ certificates – and the national governing bodies have entire catalogs compared to my small personal experience of this – which range from the same errors I have encountered to errors like missing certificates, certificates issued in error for firearms not held by the named people, and other such problems. In the context of day to day policing, the local Gardaí know the licenced owners in their district and such problems are practically inconsequential; but in the context of considering national law, they raise concerns as to the reliability and quality of our national level statistical data. If we cannot readily answer even this basic question without an inordinate amount of effort, then it seems inconceivable that we would accept statistical data at face value from this source without even a cursory auditing of that data. And this does not even touch upon the effect of the exceptionally broad meaning of the term “firearm” in Ireland that I mentioned earlier. To give further examples from the December 17 meeting, it was at one point stated by Chief Superintendent Healy that there were 200,000 firearms in Ireland, composed of 145,000 shotguns and 70,000 rifles. Granted he was speaking in approximations, but that remains an error of approximately 15,000 firearms which is quite excessive and nobody sought to clarify the figures being presented. I wish to discuss the figure of 1,683 handguns for two reasons – firstly, Chief Superintendent Healy stated that it comprised 639 restricted handguns and 1,044 non-restricted handguns of .22 calibre. My handgun is a .177 calibre unrestricted air pistol (air pistols are legally in the same class as .22 calibre unrestricted handguns). Its existence alone mean that figure of 1,044 .22 calibre handguns is incorrect — at most it could only be 1,043 .22 pistols. However, there are hundreds of similar licenced air pistols in the country; therefore the number of .22 pistols must be much lower than this. The second reason I wish to mention this figure relates to its perception by the Members of the Committee, which was universally that it was a shockingly high number. However, handguns have been licenced in the State since 1925. From 1972 to 2004, under a Ministerial and Garda policy which was later found to be unlawful by the Supreme Court in McVeigh and in Brophy, applications for certificates for handguns were not considered. In 1972, Minister O’Malley reported to Dr.O’Donovan in Oral Questions in the Dail that 1,565 handguns were licenced. Therefore in 43 years we have seen an increase of 118 handguns. A breakdown of how many of those are air pistols, smallbore pistols, fullbore pistols, starter pistols and how many were decommissioned pistols was unavailable to me, but I do feel that terms such as “proliferation” are not justified by an increase of less than 3 pistols per year, especially when it must be considered that a large number of the 1,683 pistols currently licenced, and the 1,565 pistols handed in under the 1972 Temporary Custody Order, are in fact the same firearm. Indeed, when you consider that the Central Statistics Office figures show that the population has risen by 1.6 million people since 1971, the number of licenced handguns per capita has actually fallen by approximately 28%, from 0.5 per thousand people to 0.36 per thousand people, and thus terms like “decline” are more appropriate. In a related note, the same perception amongst the Committee applied to the overall total figure of 200,436 firearms. Despite the stated alarm (even from those Members whose Written Questions had elicited these figures over the last year), this figure represents a decline in the total number of licenced firearms in Ireland since 2008, which Garda statistics reported by Minister Ahern on October 24, 2008 in the Dail puts at 233,120. While the 2008 figures do represent an increase over the status quo for firearms licencing in Ireland, it should be noted that this increase was triggered by the economic boom and the resultant development of new firearms ranges along with new facilities in all other sports in the country. Prior to this, as Minister Noonan reported to the Dail on February 4 1986, the number of firearms certificates in 1985 was 176,173 – though at the time the definition of “firearm” was different and less inclusive, and several thousand firearms were still in storage following the 1972 Temporary Custody Order, so direct comparisons are difficult at best. We can reasonably assert, however, that no pattern exists which justifies either the term “proliferation” or the public alarm such loaded terms – which are normally reserved for discussing nuclear weapons – could cause. I would strongly urge the Committee to consider the figures in their context and observe that the changes we have witnessed are (a) gradual and occurring over the course of many years; (b) caused by several factors including the legal redefinition of what a firearm is, which has increased the count artificially; and (c) not excessive when seen as a percentage of the total. Further to this point, I wish to address the figure cited by Ms.Walsh of the Department’s Firearms Unit of 8.6 firearms per 100 people and her statement that this places us in the middle range of firearms ownership rates in the EU. Chief Superintendent Healy stated that the latest information is that there are 200,436 firearms in Ireland and the Central Statistics Office’s most recent population estimate from April 2014 is 4,609,600. This puts our firearms ownership rate at 4.34 firearms per 100 people, just over half the figure cited by Ms.Walsh. In order to reach 8.6, we would require a total number of licenced firearms of 396,425 – almost double the number currently licenced. I can only account for this figure of 8.6 if it has been taken from Annexe 4 of the Small Arms Survey 2007 (which indeed incorrectly lists Ireland as having 358,644 privately owned firearms in 2005 by including an estimate of 150,000 illegally held firearms in that total, see page 44 of that report), and calculates the ownership level for 2005 accordingly). It is plainly invalid to calculate the number of licenced firearms per capita using such an approach, and Minister Burke commented on such estimates in the Dail on October 22 1991 stating that “The very fact that [illegally held] firearms are held illegally precludes statistics being available of the number of such firearms”. Furthermore, figures from the EU15 member states in 2003 show an average firearms ownership rate of 17.4 firearms per 100 population. So even if we doubled our current number of licenced firearms we would still have only half the average ownership level in the EU, and even then that would owe much of that rate to our counting as firearms a range of objects (such as sub-seven-joule airguns, crossbows, paintball markers, deactivated or broken firearms and component parts of firearms) which are not counted as firearms in the rest of the EU. Along with a more critical approach to sources of data, it would be comforting to those of us observing the business of the Committee if a greater degree of awareness of the current Firearms Act was displayed. It is accepted without hesitation that this is very difficult due to the exceptionally awkward nature of the Firearms Act, which is comprised now of the 1925 Firearms Act and over twenty other Acts layered upon it or contributing to it in a palimpsest fashion complicated by the introduction of a quasi-separate Act by the 1990 Firearms and Offensive Weapons Act which was then itself amended by several subsequent acts; all of which layering is governed by dozens of statutory instruments laying out the commencement dates of various portions of the Act, and the additional attendant statutory instruments which contain secondary regulations, some of which have themselves been amended by subsequent statutory instruments. Two EU directives also feed into this legal morass along with the Commissioner’s guidelines and case law from several hundred Supreme, High and District Court cases, and all of these sources must be read together to gain a picture of the existing Firearms Act, as amended – and rarely in Irish law do the words “as amended” contain so much hidden work for the reader. This was in 1963, when it was proposed to have a single Act amend the 1925 Act. Today, some 21 Acts amend or contribute to the 1925 Act. The end result of this awful legislative situation is that despite a basic structure which was sufficiently sound to last through seventy years without significant alteration – thirty of them during the Troubles – we now have a law in which we arguably have no true experts in the entire country and only a few dozen people with a sound working knowledge of the Act (indeed, Heads 11 & 12 stem from this). It is little wonder that so much contention has arisen in recent years over the fine detail of the Act and its enforcement. And we know there are deficiencies in the legislation caused by accidental oversight in the current Act. To give one example, crossbows and paintball markers are now designated as restricted firearms, not because they were seen as warranting such classification, but because the Statutory Instruments setting forth what is a restricted firearm and what is not was drafted in the form of a whitelist of unrestricted firearms and all firearms not on that whitelist were designated as being restricted – and nobody in the drafting process remembered crossbows and paintball markers until after the second Statutory Instrument had been signed. In the case of paintball the situation is doubly ridiculous as most paintball markers are classified legally as restricted short firearms and therefore are governed by the same regulations that apply to centerfire handguns – and this in effect means that any stag party taking part in a game of paintball before the wedding celebrations is strictly speaking committing an offence under the Firearms Act that carries a penalty of up to seven years imprisonment and twenty thousand euros in fines for each participant, along with the employees of the company that operates the facility. We have, in other words, a law where everyone can see the lines, but nobody is completely certain about where exactly they are, and everyone has spent the last six years arguing about where they should go. Despite this complexity and confusion, and the difficulty it imposes, it would be comforting if the Members of the Committee were aware of at least the basics of the current Firearms Act, as amended. Even familiarity with the nature of the application process for a firearms certificate and the controls currently in place there would be reassuring and useful as it would have highlighted the errors made in the testimony of the Witnesses on December 17 (which I have noted in Appendix A). I have attached as Appendix B a guide written to this process for Olympic target shooters applying for a licence; it is not the most generic of guides nor the most extensive, but it does at least convey some sense of the controls currently in place. Should the Committee wish for a more complete guide, I can recommend the sole textbook on this section of law in Ireland, The Law of Firearms and Offensive Weapons by McDonnell (ISBN 978-1-905536-54-2). It is worthy of note that this sole textbook was only published for the first time in 2014, 89 years after the first Firearms Act was passed – this further indicates how difficult it is for the average layman to acquaint themselves with this area of law. Finally, I wish to state for the record that nobody demands that the Members of the Committee be experts in firearms. After more than twenty years of shooting, I would only claim expertise in certain areas regarding firearms and am keenly aware of the many areas in which I do not have any expertise. It would be deeply unrealistic to expect the Members to have an expert level of knowledge in all areas of firearms themselves. However, it should be expected that the Members would keep in mind the limits of their knowledge and the fear, uncertainty and doubt regarding firearms such limits induce; as well as the scientifically studied and understood effect that such uncertainty has on the accurate perception and evaluation of risk. It is well worth remembering that the technical nature of firearms and the detailed knowledge required to draft useful and enforcable firearms legislation is such an onerous set of requirements that previous Ministers created and maintained the Firearms Consultation Panel, a body which gathered stakeholders and experts including not only the Gardaí and Department of Justice, but also the Irish Sports Council, several shooting sports bodies, insurance providers, range operators, the Irish Farmers Association, firearms dealers and other concerned parties. This panel, and the unprecedented cooperation between stakeholders and the Minister with regard to legislation that it represented, contributed enormously to the legislation, detecting and correcting some truly appalling mistakes in draft legislation caused by a lack of technical knowledge in one form or another by various drafters. Having more than proven itself as an effective technique for addressing legislative shortcomings, It would seem unusual to many including myself to abandon it at a time when it could do so much badly needed work repairing the morass of legislation that the Firearms Act has become over the decades. I wish to touch upon some disturbing points pertaining to the current law and the review. It has been repeatedly stated that the driving motivation behind the proposed changes to the Firearms Act in this review is public safety. This is deeply troubling. Section 4(2)(b) of the Firearms Act clearly says – and has clearly said since 1925 – that if the issuing person thinks the issuing of a firearms certificate to an applicant would pose a danger to the public safety or the peace, then they may not issue a firearms certificate. 4.— (1) An issuing person shall not grant a firearm certificate unless he or she is satisfied that the applicant complies with the conditions referred to in subsection (2) and will continue to comply with them during the currency of the certificate. Legally, the licencing official has no choice in the matter. If a danger exists or will come to exist, they cannot legally choose to ignore it. The only legally permitted question is whether or not that danger is real. In short, it is not legally possible for a valid threat to public safety to arise and remain extant unless the issuing person ignores the law or is incompetent at judging threats to public safety. Therefore, if the Gardaí feel that the current licencing laws have resulted in a danger to the public safety, some very hard questions arise, first amongst which are why sections four and five have not been adhered to. Stating that this is due to District Court judgements merely poses that same question to the District Court Justices, who are as bound by the Act as the Gardaí and who can no more legally issue a firearms certificate if they believe a real danger exists than the Gardaí can. It is hard for a member of the public who has read sections four and five to hear a Garda Chief Superintendent make these statements and not ponder the ramifications of those statements and to query who is asking hard questions of whom by making them. It is beyond the ability of a member of the public to find answers to these questions; but it should be within the remit of the Committee to at least consider them. Separately, it has been stated that applicants have been appealing decisions of Superintendents and Chief Superintendents to the Courts. It has been stated in a manner suggesting that such action is undesirable, even troubling. This is itself worrying, because if availing of the Courts – even though most people including myself regard this as a last resort – is seen as suspect, then we have arrived in a rather dystopic place indeed. And while it is true that not every applicant’s case has been successful, it should be noted that in every case where an applicant was successful, it was because a District, High or Supreme Court Judge found that the Garda involved – or indeed the Minister – had not properly followed the law in his or her decisionmaking process. It is a worrying state of affairs to see that conclusion arrived at independently in so many Courts in hundreds of cases. Personally I have always felt this was well explained by the conjunction of the complexity of the Firearms Act as amended; an insufficient training budget for the Gardaí that successive Ministers have not addressed; and a degree of defensive thinking brought on by the prospect of legal action. This does not, however, mean that the situation is an acceptable one, nor does it render acceptable the mindset that those who disagree with a Superintendent’s decision on legal grounds are troublemakers. These court cases have both caused and been caused by an undesirable degree of division between the Gardaí and firearms owners. It would be cheering if more efforts to address this unnecessary and undesirable division were made. Instead, because – in contrast to how legislation was prepared under the Firearms Consultative Panel — wider consultation did not occur until after the review was drafted and submitted to this Committee, this review appears to many to be an attempt to win an argument that was lost several hundred times in court at a cost to the state estimated to be in the region of five million euros. This has widened the division unnecessarily, which is in nobody’s best interests. It would be infinitely preferable if Garda manhours were not being consumed by disputes over sports equipment but instead spent on the prosecution of those who commit crimes with illegally held firearms. On a related note, it has also been stated that at the present time, an applicant can force the Gardaí to issue a firearms certificate for any firearm they so desire. This is a preposterous assertion, and is simply not backed up even by Chief Superintendent Healy’s own statement, “Our experience from chief superintendents and superintendents giving evidence before the District Court is some decisions to refuse a licence were upheld while others were overturned”, which is in direct contradiction to the assertion made in the Chief Superintendent’s previous sentence. Perhaps the Committee might call on Judges from the District, High or Supreme Courts to clarify the situation. Finally, I wish to note that I do not understand how, upon learning that in six hundred and fifty cases the Gardaí were found by the District, High and Supreme Courts to not have carried out licencing decisionmaking in accordance with the law, the Committee could accept the idea that these court judgements were grounds to change the law. Any reasonable person might think that if a Judge finds fault on the part of the Gardaí over six hundred times, then the possibility should be considered that the problem is not with the applicants. The last point I wish to raise with the Committee in this section is one of a slightly more fundamental nature. Irish law is by nature ex post law. It sets forth what citizens may not do and lists punishments which will be applied if the law is broken and then applies them if someone breaks that law. What is being recommended by these proposals is a departure from this philosophy for an ex ante philosophy; namely that firearms currently held legally for legitimate purposes by people strictly vetted by the Gardaí should be banned on the grounds that in the future some or even one of those people may choose to break the law. It is, in other words, imposing a punishment on a group of people who have not broken the law using the justification that it would be mathematically possible for one of them to break the law at some unknown indeterminate future date. This is unethical and dangerous territory for legislators to enter lightly. What applies today to a small, technical piece of law which primarily applies only to an easily derided minority of the population nonetheless sets a precedent whose unintended consequences are enormously far-reaching. My car doesn’t have a speed limiter. I could, in theory, drive at 120kph down the M50, breaking the law in the process. It doesn’t have any system or device to stop me driving at 60 kph down a crowded pedestrian street at lethal speeds with horrific results. It doesn’t have a 24-hour guard watching it to stop someone else stealing it from me and doing either of those things or worse. And every year, cars like mine kill several hundred people on the roads of this country, and maim and cripple hundreds more, even when driven by upstanding members of society like former members of the Oireachtas. When can I expect the Gardaí to come round to my house and take the car away from me for the good of society? Many will say in response to this that cars are not designed to kill people; I have never understood or accepted this argument, which says that hundreds of deaths and thousands of injuries are acceptable because they were accidental. Apart from the depraved indifference to human life that this implies, it also assumes that the point of the analogy is that we should be banning cars; when instead the point is that we do not punish innocent people on the off-chance that they might in the future break a law. We leave that sort of thing to Hollywood summer films which enjoy fancy special effects and a suspension of disbelief. I respectfully submit that those who draft legislation in our country ought to be adhering to a higher standard than Steven Spielberg. Before commenting directly upon the Working Group’s proposals, I wish to again stress that these proposals were prepared in secret, without wider consultation with any stakeholder groups. This has been proven on many occasions in the last decade to be an error-prone approach which has led to many legislative anomalies, and it is an approach which should not have been taken and which has damaged severely the relationship between the Gardaí, the Department and the stakeholder groups. It must also be stressed that the same language problems which I described in the first section of my submission are present in the Working Group’s Report. Throughout the Report, data is provided in regard to criminal activities, in such a manner as to imply a relationship to the legitimate ownership of firearms for sporting or other purposes. For example, in the Executive Summary, the number of criminal incidents involving a firearm between 2009 and 2014 is cited in a manner that misleads the reader into associating that statistic with certified firearms owners despite a complete lack of proof that any such link exists. The Report makes mention of statements by then Minister Ahern, including the statement “I am determined to ensure that a gun culture is not allowed to form in this State”. This statement did not account for the presence of target shooting as a sport in Ireland since at least 1850; nor did it allow for the possibility that an Irish gun culture might be one in which positive traits are reinforced and negative ones discouraged; and yet that accurately describes the club-based gun culture which has existed in this State for many decades now and which continues to exist to this day. It is a culture that stands in stark contrast to the American approach to firearms ownership and has much in common with the European model. This should be borne in mind when using such terms. 70. The present case does not present any such difficult problems of judgment. There are two obvious problems about the Minister’s decision, as communicated to the appellant. The first is that he refers to “the policy,” clearly referring to some single policy concerning the criteria for the grant of firearms certificates. However, the Minister had no function in the grant of firearms certificates and, a fortiori, in formulating such policies. Moreover, there could not, at that time, be a single policy. The function was allotted to Garda Superintendents in their own individual districts. I do not say that it was impermissible for the Minister to have regard to the need for any person possessing or using a firearm to have a firearms certificate, granted by his local superintendent. If the Minister had formulated the matter differently by referring, for example, to the unlikelihood of a particular firearm being granted a certificate, his decision might have been defensible. Since that situation did not arise, it is unnecessary to decide a hypothetical case. 71. The second problem with the Minister’s decision is that it clearly does communicate a rigid inflexible policy. The Minister offered the applicant no opportunity to address the possibility of any exception to the policy or the merits of the particular firearm. 73. In any event, it is quite clear that the Minister’s decision as communicated was infected by the vice of inflexibility. I do not think the matter can be rescued from the Minister’s point of view by Mr. Kelly’s belated attempt to portray it as otherwise than inflexible. The decision has then been made. According to the case-law, especially Dunne v. Donohoe, it was not a lawful decision. In my view, it was such as should have been quashed on judicial review. However, it is difficult to discern, at this stage, any advantage to be gained by quashing the decision of the Minister made more than seven years ago. I would simply make a declaration that the Minister had made an unlawful decision by basing it on an inflexible policy. Therefore the reissuing of licences in 2004 for pistols which had been in Garda custody since 1972 is not a situation that came about without a decision of the Oireachtas; but is instead a situation that came about because of the ending of the unlawful defiance of the Oireachtas – and as I have already pointed out in section 3 above, the number of pistols so licenced represented a fall of 28% per capita from the level of handgun licencing prior to the institution of that unlawful policy. The sense conveyed by the Report’s assertion in section five is one of the arrival of a new, unpredicted and possibly threatening state of affairs in firearms licencing, but in fact the situation is that of a return from an unlawful state of affairs to the law the Oireachtas passed on four separate occasions, and the level of risk implied is not supported by the statistical data and many of the firearms in question were in fact the same firearms that had been in the State prior to 1972. A large proportion of the remainder of section five of the Report is devoted to explaining that An Garda Síochána, as a result of statistics pertaining to illegal crimes, wishes to prevent the licencing of certain classes of firearms by people who by law are required not to be a threat to the public safety or the peace should a firearms certificate be issued to them. There is a complete lack of a logical connection here between the axioms and the results of the Gardaí’s argument. If criminals were licencing the firearms they use in crimes, perhaps there would be merit in considering the abuses of illegal guns by drug gangs, but insofar as I am aware, there is a Garda policy against granting firearms certificates for smuggled handguns to be used by drug dealers in the murder of competing drug dealers. If this belief is in error, I would strongly urge the Committee to advise the Gardaí to immediately institute such a policy. Given that there is no connection between the axioms and results of the arguments of the Gardaí in section five, I am at a loss to provide a counterargument, for how can one provide a counterargument when no argument has been advanced? The fact that despite meeting with several stakeholder groups on several occasions during the course of this working group’s review, and despite many requests for clarification about the nature and subject of the review, none of these groups were informed as to the issues being examined nor shown the proposed recommendations, despite being acknowledged as possessing significant expertise in the area of firearms legislation and having been involved in the legislative process for the 2006 and 2009 Acts, speaks volumes as to the manner in which this review was conducted and should leave the Committee in no doubt as to the nature of, and justification for, the concerns and objections of these stakeholder groups who have found themselves the subject of offensive implications regarding their sports and the character of their members as a result of this review and while the Minister’s assurances that no final decision will be taken without consultation have been given, the manner in which this review has been carried out does not prejudice a reasonable person to accept these assurances without qualms. The entirety of section eleven of the Report is personally offensive. Comparing certified Irish firearms owners with mass shootings carried out by mentally unstable individuals in jurisdictions where firearms ownership by the mentally unstable is prohibited is not only unjustifiable, but also seeks to absolve the police forces of these jurisdictions and this one of the duty of enforcing firearms legislation. During the course of my investigation I discovered that Hamilton was no stranger to controversy and similar investigations had been undertaken by this and Strathclyde Police Forces in the past. Hamilton also features in local criminal Intelligence files. Throughout my investigation I met and spoke with Hamilton on a number of occasions. It is as a result of the impressions left with me by this man that I feel compelled to make this report. I have recently discovered that Hamilton possesses a firearms certificate … This concerns me. I am firmly of the opinion that Hamilton is an unsavoury character and an unstable personality. … I would contend that Mr. Hamilton will be a risk to children whenever he has access to them and that he appears to me to be an unsuitable person to possess a firearms certificate in view of the number of occasions he has come to the adverse attention of the police and his apparent instability. The Procurator-Fiscal at Stirling has not yet decided on whether or not he will proceed with the case against Hamilton but at the moment it appears in all likelihood that he will not. I respectfully request that serious consideration is given to withdrawing this man’s firearms certificate as a precautionary measure as it is my opinion that he is a scheming, devious and deceitful individual who is not to be trusted. Despite this damning report, which was supported by the local Child Protection Officer, the Scottish police renewed Hamilton’s firearms licences and following the subsequent horrific events, sought to have all police files on this topic sealed for a century under the Official Secrets Act, something not overturned until 2005. The obvious conclusion that should have been drawn from Dunblane, and one which was obstructed by these actions of the Scottish police, was that the existing firearms legislation was more than adequate to prevent the atrocity, had it been enforced by the police. Instead this lesson was not learned, the legislation was changed, and the underlying problem remained unaddressed. How much this error contributed to the subsequent shooting in Cumbria cannot be readily quantified but must be considered as a contributing factor. This view aligns with the scientific studies into the ban in the British Journal of Criminology in 2006 and the Justice Policy Journal in 2011. Even the rate of suicide by firearm in Australia was shown not to have been effected by the 1997 ban in a 2009 study in Social psychiatry and psychiatric epidemiology. In short, this approach has been found to be one which sounds effective, intuitive and simple; but in practice has had no effect, and only well-funded, properly-directed police prosecution of criminals has shown proven results. It does bear noting, however, that when statistical data from the UK shows that after a firearms ban the level of firearms crime rose until more police resources were tasked to prevent that crime, the Report has taken the position that the extra police resources were insignificant and the ban was the reason for the subsequent fall in firearms crime. This position is at odds with the long-term data on gun crime in the UK as reported by the Home Office, which shows that the overall trend of a rise in gun crime from 1980 to 2006 was not affected by the 1997 handgun ban (the noticeable drop in handgun crime having begun three years earlier in 1994) and until a focused, funded police effort was put in place, the crime rate had climbed to a rate double that at the time of the ban. I wish to make it very clear and to stress in the strongest possible terms that this data does not suggest that gun crime is kept in check by licenced firearms ownership. Correlation is not causation. Rather, it demonstrates that gun crime and licenced firearms ownership are not linked. Gun crime rates are unaffected by bans that by definition only apply to law-abiding people. There is nothing to suggest that the Irish experience would differ in any way from that of other jurisdictions which have enacted gun bans and our experiences with gun crime from 1972 to 2004, and our more recent experience since the partial handgun ban in 2009, both demonstrate this as gun crime rates were unaffected by the bans in place during these periods. It must be asked, if the data from this jurisdiction and others, and the scientific study of that data, show that the approach of banning licenced firearms ownership has no effect on gun crime, why is the Working Group proposing a ban on licenced firearms ownership based on gun crime statistics instead of proposing increased numbers of Gardaí and funding to fight drug crime? At the end of section 12 of the Report, mention is made of issuing officers consulting with either the Firearms Policy Unit or the Ballistics Section. It would seem far more sensible that the Firearms Policy Unit should be consulted on matters regarding certified firearms ownership. Having two contact points whose advice may differ can only exacerbate situations where confusion arises. Firstly, if the deciding officer errs in his decisionmaking process and this is indicated by an internal review, this does not constitute an order to make a decision one way or another; but is instead a finding that the decisionmaking process was flawed and the decision should be reexamined. It ought to be recognised that this is precisely the same kind of finding that resulted from High Court Judicial Reviews of licencing decisions prior to the 2006 Firearms Act’s introduction of the District Court appeals process. If the persona designata status was not a bar to High Court Judicial Reviews, then it is not clear how it could be a bar to internal reviews so long as those reviews do not issue orders to grant or refuse a certificate application, but restrict themselves to examining the decisionmaking process for possible errors of law. Secondly, the introduction of the District Court appeals process in the 2006 Act empowered the District Court to direct a Garda Superintendent or Chief Superintendent to grant or refuse a certificate as well as to direct them to reexamine their decision. Therefore the previous persona designata status enjoyed by the deciding officer no longer exists as their ultimate discretion in making a decision on firearms licencing may be fettered – in fact it may be overridden directly by the District Court should that Court deem it warranted. Section 13 contemplates the confiscation of a large amount of expensive privately owned sports equipment from law-abiding people without compensation and concludes no legal case would be successful in pursuing compensation. I find myself unsure as to whether or not the Working Group was serious in this conclusion, or whether they were just kidding around. I’m hoping as a taxpayer whose taxes would be used to pay for the inevitable Supreme Court cases that they’re just joking. Section 15 considers the issue of applications not processed in the three month timeframe set forth by section 15A of the Firearms Act. The tone of this consideration is one suited to considering the satisfaction of customers in a retail outlet. It is not suited to the nature of the three month timeframe set forth in 15A, because at the end of that three month period, the applicant is legally deemed to have been refused by the deciding officer and notified of said refusal. However, many licences have been granted after this deadline. This raises a question of the validity of a firearms certificate issued for an application that has legally already been deemed to be refused. This is a confusing situation and requires addressing; the approach of stating that it only applies in a small number of cases is basically stating that it is considered acceptable to the Gardaí to ignore a section of the Firearms Act so long as it only happens in a small number of cases (even when “small number” refers to almost ten thousand incidents). This is (thankfully) highly inconsistent with the approach of the Gardaí to noncompliances with the Firearms Acts by non-Gardaí. I would like to make a specific comment about the whitelisting of pistols mentioned throughout the report. There are purely technical problems with whitelisting as envisaged, and the experiences in California where such a whitelist is used have demonstrated these problems. couldn’t perform such an evaluation merely by looking at a brochure from the manufacturer, I cannot in good faith see how an untrained civil servant whose expertise does not lie in firearms will be able to perform such evaluations adequately unless the Department of Justice purchased test firearms for that purpose, which would be enormously expensive and time-consuming and which would require facilities they do not currently possess. Further, the whitelist is envisaged as being pistols “designed for use” in the Olympics, but most pistols are designed for use in a lot of other sports as well because of the nature of manufacturing economics. Like any popular car, you can get a pistol like the Hammerli Xesse in several different variants, mostly with cosmetic changes between them. 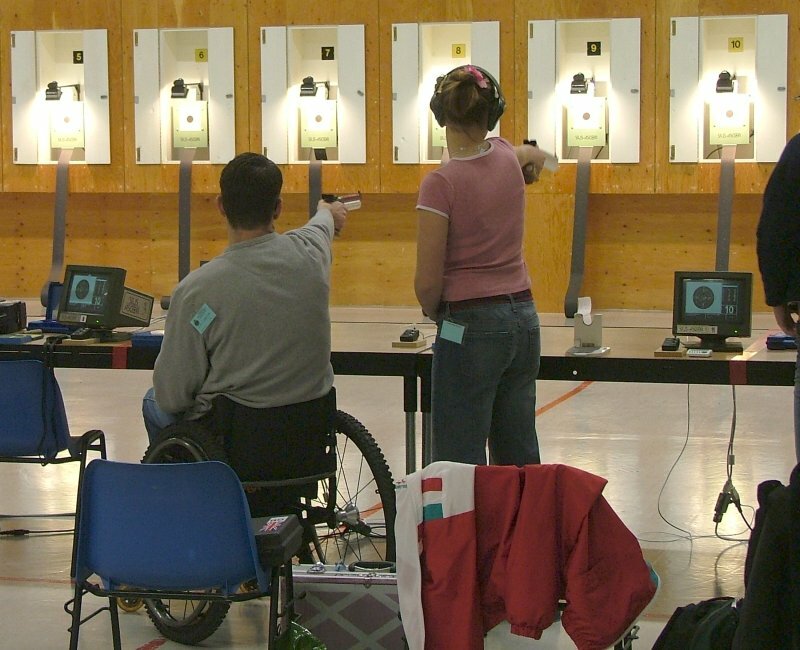 For a beginner in the sport, this is perfect – the pistol costs six or seven hundred euro instead of the three to five thousand euro the pistols used by Olympic medallists cost, and they can try several Olympic and non-Olympic shooting sports to find out which they’re best at. Ban those beginner pistols and you’re banning not only a dozen non-Olympic sports, but you’re strangling the Olympic sports as well. This is at variance with the stated Garda and Departmental policy to facilitate Olympic sports. Such a bias against recreational entry-level target shooting of this kind is also at odds with the stated intent of the Firearms Act, which was not envisaged as allowing certificates only in the case of international level shooters. Beginners in the sport were explicitly mentioned in the Dail by the Minister during the 2004 Bill’s debates. This is why the Act requires proof of competency, rather than proof of proficiency, in section four. Also such, a whitelist is – as was pointed out in objections during the drafting of the original Restricted List – not an appropriate mechanism to use in legislation, and if restrictions are required, they should – as they currently are in the legislation – be based on physical characteristics of the firearm which may be objectively and independently measured to determine the legal classification of the firearm. Such an approach is infinitely more flexible, open and transparent. The notes in the above four sections from pages 3 through 18 constitute my objections to Heads 1, 2, 4 and 5. I also wish to point out that Head 13 implies that a certificate issued in contravention of the Firearms Act would not be null and void but would have to be explicitly revoked; this would imply that any private individual could issue such a certificate and it would require a Garda Superintendent to revoke this obviously invalid certificate. Therefore Head 13 is obviously a ridiculous suggestion. Invalidly issued certificates are simply invalid and do not need to be explicitly revoked. Mr Healy: Restricted certificates are issued in respect of large calibre handguns and rifles with large capacity magazines. This is not an accurate depiction of what a restricted certificate is. Large calibre handguns and rifles with large capacity magazines are covered by restricted certificates, but so are many other items, such as paintball markers and crossbows, some of which were never intended to be so covered. The problem lies in the means by which the status of restricted is defined; the relevant SI lists all unrestricted firearms and deems anything not listed to be restricted; this has led to much erroneous misclassification. (ii) has demonstrated that the firearm is the only type of weapon that is appropriate for the purpose for which it is required. If a restricted firearm is sought for the purposes of target shooting, but is designed primarily to kill human beings, then it cannot pass the test in 4(2)(h)(ii). Therefore a restricted firearm primarily designed to kill human beings cannot be licenced unless 4(2)(h)(ii) is ignored. A certificate refusal on these grounds could only be successfully appealed if the applicant could prove the firearm was not primarily designed to kill human beings. The several hundred such successful appeals – in particular cases like Herlihy – would seem to indicate that there is a difference of opinion between the Gardaí and the Courts and the target shooting community as to the design purpose of several kinds of firearm are, but this is not a legislative issue. Mr Healy: It is acknowledged that the majority of certified firearms owners are of impeccable character and integrity. This implies that a minority of certified firearms owners are not of impeccable character and integrity, which is grounds for revocation of a firearms licence and that revocation is arguably the legal duty of the issuing officer under sections four and five of the Firearms Act. Deputy McGrath: I find that figure (200,436) extraordinarily high for a small country. Would that be correct? Deputy McGrath is not correct. At 0.04 firearms per capita, Ireland has a very low rate of firearms ownership compared to the EU15 average of 0.17 firearms per capita. The size of the country is not a factor either; for example Cyprus, which is just over one-tenth our size and one-fifth our population, has 104,661 licenced firearms, two and a half times as many per person as in Ireland. Deputy McGrath: The other figure that jumps out at me is that of 1,683 handguns. Looking at it objectively, I would say that is very high. Deputy McGrath is not correct, as this number represents a 28% reduction on the number of handguns certified in 1972 prior to the 1972 Temporary Custody Order and the subsequent unlawful policy of not considering applications for firearms certificates for handguns. According to the Garda authorities the category of “pistol-revolver” on the crime recording system is broad and captures different types of pistols and revolvers including starting pistols, air pistols, antique pistols and flare pistols. Starting pistols, antique pistols and flare pistols do not require a firearm certificate for possession, use or carriage. Where an air pistol falls under the definition of a firearm contained in the Firearms Acts 1925 to 2000 a firearm certificate is required for possession, use or carriage. With regard to the figures relating to pistols the six pistols-revolvers stolen in 2002 refer to starting pistols, flare pistols and air pistols. There were two antique revolvers stolen in 2002 and both had the barrel bored and the hammer filed down to render them incapable of firing. The 17 pistols-revolvers stolen in 2003 refer to air pistols, starting pistols and starting revolvers. There was one revolver stolen in 2003 which had been rendered incapable of firing. The pistols-revolvers stolen in 2004 were two air pistols. The Garda authorities inform me that the information in relation to firearms stolen in 2002, 2003 and 2004, which are legally held by members of the Garda Síochána or the Defence Forces, is not readily available but is currently being compiled and will be forwarded to the Deputy in due course. Mr Healy: Between 2004 and 2009, with the High Court challenge against the ministerial prohibition on short arms, a practice developed whereby firearms were licensed by superintendents under the 1925 legislation. The practice referred to here is in fact the enforcement of the Firearms Act, the natural function of the Gardaí in this country. To describe it in terms that imply this to be an abnormal state of affairs is deeply troubling. Mr Healy: In effect, the 1,600 handguns that have been licensed and are currently licensed has brought us back to the situation in which we were in 2009. The situation we were in in 2009 was that we had set aside an unlawful policy and had as a result seen a relicencing of previously licenced handguns and a resulting per capita level of handgun ownership 28% lower than it had been before the institution of the unlawful policy. Mr Healy: A picture paints a story of a thousand words. But a picture can be misinterpreted far more readily than a thousand words. Mr Healy: The licence term is for three years now. Circumstances can change after a decision has been made. Medical problems or other issues can arise for certain individuals. (f) where the firearm is authorised to be carried or used by a holder of a firearms training certificate, has, without reasonable excuse, permitted the holder of that certificate to carry or use the firearm while not under his or her supervision. Therefore while a change in circumstances is possible, it is not only catered to in the application process, but is also provided for with extensive powers in the Act. Ms Walsh: The real question, if 1 million people applied for a firearms licence, is whether that is the type of society we want. While they might all meet the good character criteria, is that what we want in terms of firearms ownership in this jurisdiction going forward? Mr Healy: Some people are careless with their weapons. We had one case where a person left a high velocity rifle in a car. The car was broken into in a public car park in Dublin and the rifle was taken. Blaming the victim of a crime and not the criminal is a practice rightly condemned in other areas of law. Also, no details of the security measures undertaken by the person in question were given. Had they the bolt for the rifle on their person thus rendering it beyond use, for example? The work done on recommendations for secure mobile storage of firearms by the shooting community in concert with the Department and the Gardaí in the last decade should also be mentioned here. Mr Healy: The conventional shotguns with which we are all familiar, namely, the under-and-over, side-by-side, single and double-barrelled shotguns, are used for legitimate purposes such as game and other types of shooting. As we stated in our submission, that is fully acceptable weaponry to be licensed in the State and, accordingly, we do not have an issue with that. I enclosed a photograph of one weapon in the submission which is a shotgun but has the significant capacity to quickly discharge many rounds, itself a concern. A “conventional” double barrel shotgun is capable of discharging two shots almost simultaneously, while a legally held semiautomatic shotgun is capable of discharging three more slowly. The difference between the two is negligible in terms of risk and semiautomatic shotguns offer advantages to hunters hunting wildfowl. Mr Healy: There is an element, however, that is irresponsible with respect to the management of their guns and there are security issues concerning those weapons. Having knowledge of firearms owners who should not own firearms and not act upon it seems at odds with sections four and five of the Firearms Act. Mr Healy: The number of [semiautomatic shotguns] is small. In effect, there are 47 of those calibre guns licensed in the State. They are known as restricted shotguns. Semiautomatic shotguns are not restricted so long as their magazine holds three rounds or less, and there are considerably more of them in the State than 47 – there are in fact between eight and nine thousand such shotguns in the State. Mr Healy: The term “assault rifle” is in the legislation. As such, it is referring to high-calibre and high-velocity type rifles which are, in effect, designed to kill. This is not what the legislation states. It may be what Mr Healy is thinking of, but it is not the law. Under the law, “assault rifles” are defined as “rifles capable of functioning as semi-automatic firearms and as automatic firearms” and “firearms that resemble such rifles”. The phrases “high calibre”, “high velocity” and “designed to kill” appear nowhere in the legal definition. Mr Healy: Unfortunately, however, the system now means when people apply for a licence for such a gun, if they are refused but if they appeal the matter to the District Court, that decision will be completely overturned. We have had no situation where a decision to refuse a licence since 2012 has been upheld by the District Court. Our experience from chief superintendents and superintendents giving evidence before the District Court is some decisions to refuse a licence were upheld while others were overturned. The first and second sentences here contradict one another. Perhaps the Committee should seek clarification on this point. Mr Healy: That is the practice and we accept those decisions by the courts. We now face a situation, however, where the system is broken and, as such, a person can apply for a licence knowing that if it is refused and if he or she appeals it, the court will overturn that decision. This is not an accurate reflection of the situation and perhaps the Committee should call on some Justices from the District, High and Supreme Courts in order to seek clarity here. Deputy MacLochlainn: The Olympic Council standards were referred to but the council defers to those of the International Shooting Sport Federation. As a point of explanation here, the International Olympic Council recognises three international governing bodies who oversee events in the Olympic programme that use firearms – the ISSF (International Shooting Sports Federation) who oversee the majority of such events, the IBU (International Biathlon Union) who oversee the biathlon event in the Winter Games, and the UIPM (Union International de Pentathlon Moderne) who oversee the Modern Pentathlon event. At the time of drafting, some felt that by specifying “Olympic Council standards”, all three bodies would be included. It does raise the point however, that the legislation is imprecisely written. Mr Healy: The legislation, as structured, provides that the requirement to be met by applicants to use non-restricted firearms is to show that the firearm has been designed for the purpose for which it is intended. Mr Healy: Yes, they all are used for target shooting. However, for a non-restricted gun, the person must demonstrate the purpose for which he or she seeks the gun and whether it is designed for that particular purpose. This is not a requirement for non-restricted firearms, it is a requirement (under Section 4(b)(h)(ii) listed above) for restricted firearms. No such requirement exists for non-restricted firearms. Mr Healy: As such, the applicant can now create a recreational event and say he or she needs the gun to engage in that type of activity and that, therefore, it has been designed for that purpose. In effect, what has happened is that a new rule has been invented by the applicant to say he or she engages in a recreational shooting activity in which a particular gun, for example, a 9 mm or a .22 mm gun, is required. Therefore, he or she can get over the hurdle of meeting the requirement to show that the gun has been designed for a particular purpose. Implying perfidy on the part of firearms certificate applicants is unwarranted. Also, section four of the Firearms Act grants the Gardaí powers to refuse obviously fabricated applications and confers the legal duty to do. Mr Healy: In effect, the sand has shifted; people can now apply for a gun licence knowing that they will succeed if they exhaust the process. This is simply untrue, and implies that the District Courts are in some way unable to discharge their function. Perhaps the Committee might interview some District Court Justices for clarity on this point. Senator Conway: The reason we do not have a gun culture similar to that in America is we have a largely unarmed police force. The Senator is mistaken; the Irish gun culture was established long before An Garda Síochána, and indeed before the Irish State. The oldest records we have of target shooting in Ireland date to 1850, and the report of the competition comprising that record reads with remarkable similarity to modern reports on competitions in Ireland. The actual reason we do not have a gun culture similar to that in America is the history of firearms use in this Ireland from the 1800s onwards, which predates our unarmed police force. The office of the Commissioner in correspondence to the Committee of Public Accounts in July 2014 recorded a total of 268 firearms certificates being revoked for a variety of reasons which were unspecified to the PAC. This is a revocation rate of approximately 0.1%. Senator Conway: Does An Garda Síochána have any intelligence on how many unlicensed firearms there are in the country? To quote the Minster for Justice in 1991: “The very fact that firearms are held illegally precludes statistics being available of the number of such firearms. The only relevant statistics which are available relates to the number of firearms seized by the gardaí”. The numbers seized by the Gardaí as reported to the Dail in 2012 come to 6,963 seized between 2005 and 2012. Deputy Farrell: If I were to walk into the Courtlough gun club in north County Dublin and explain that I wanted to fire weapons or firearms of some sort and I was to be handed, say, a Glock, as far as I am concerned, that would be fine. If Deputy Farrell were to be given a Glock as he describes, then the operator of Courtlough gun club would be breaking the Firearms Act which does not permit the use of restricted firearms as club firearms in this manner. Further, the Department has repeatedly stressed over the last decade its opposition to such “walk-in” shooting on security grounds. Mr Healy: I can go out tomorrow and buy a restricted assault rifle and have it licensed within the jurisdiction. Perhaps a Chief Superintendent could do so and sign his own firearms certificate (this would not even be unlawful under the Act as there is no safeguarding in the Act to prevent this). The average firearms applicant, however, is in a far less privileged position and as court cases running for years have shown, this statement is simply not true of them. Mr Healy: While the concern may be prescribed in the Act in regard to handguns, the same provision does not apply in respect of assault rifles. This is because the provision was specifically lobbied for, drafted, debated, passed, enacted and commenced to apply to handguns. If a legislative provision intended to apply to one thing does not apply to others as well, this is not necessarily a failing; indeed many would regard it as an indication that the provision was well written. Deputy Farrell: During the process of licensing firearms, does take a sample of a bullet fired from a weapon for comparative purposes? Mr Healy: We do not do that. That is not a requirement. Chairman: Should it be? Mr Healy: I suppose the answer is “Yes” from a security and a safety perspective. It is probably a cost prohibitive issue. Mr Healy: I cannot definitively state whether [maintaining a library of ballistics forensic data on all licenced firearms] is done in other jurisdictions. Mr Healy: Ideally we would prefer every firearm to be discharged and a record kept of it. Chairman: What is stopping this from happening? Mr Healy: The number of firearms involved and the cost of doing so is a factor. 1) The Gardaí and the Department are wiling to confiscate firearms from people specifically stated to be law-abiding people of good character who have met all the requirements in the Act, and all in the name of public safety; what exactly is the monetary price which is too much to pay for that same public safety? 2) Other jurisdictions have indeed attempted this practice. Maryland and California have done so in the United States. However, their experiences have done more to prove that the CSI effect lamented by professional forensic analysts has not diminished, than they have to prove that the concept works. 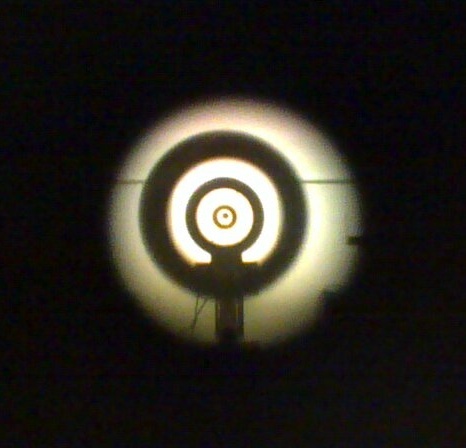 A study carried out by the National Institute for Forensic Science for the California Department of Justice in 2003 indicated that in 68% of cases, the system was unable to determine if two bullets had been fired from the same firearm if the bullets were made by different manufacturers, and in 38% of cases if made by the same manufacturer (success in these tests was defined as the correct gun being in the top fifteen possibilities chosen by the system). The cost of the system was also quite high, costing several million dollars to maintain (the Maryland estimate of $60 per firearm would suggest a cost in Ireland on the order of ten million euro). In 2005, the Maryland police department wrote a formal report to the state government recommending that the system be abandoned citing its cost, its unreliability and its failure in the five years since its introduction to yield a single conviction. 3) Despite the experiences in California and Maryland, it should be noted that the target shooting community currently adheres to far more invasive and onerous conditions for their certificates than spending twenty minutes in the Phoenix Park assisting the Gardaí in their job of protecting the public. Few would object to adding this condition to the list if it would see an end to the constant implications that licenced firearms are used in crime despite a near total lack of data to support these implications. Mr Healy: If the committee would like to see some of these guns, we will extend an invitation to it to visit Garda headquarters to look at the guns and maybe get a feel for them. One would hope that if the Committee were to undertake a visit to those proposing the review, they would also visit the civilian target shooting ranges which will be most affected by the proposals in order to note the differences between what the Gardaí are concerned about and what would be affected by the legislative changes should they be enacted. Deputy Kenny: I am sorry I was late and that I missed some of the presentation. One might inquire of Deputy Kenny how he can accept the existence of such a need despite having missed the presentation of evidence in its favour. Mr Healy: our concern is that the legitimate owner is a legitimate target of those who are involved in organised crime. It is deeply disturbing to hear a Chief Superintendent of An Garda Síochána describe innocent law-abiding people as legitimate targets for criminals, especially for those of us who grew up hearing that phrase in statements issued under the moniker P.O’Neill. Deputy Kenny: Some of these weapons look very militaristic in style and if it looks like a duck, walks like a duck and talks like a duck, it must be a duck. I confess I’ve not seen a talking duck outside of the Warner Bros. studios, but regardless, I would point out that if something looks like a duck but is made of wood and doesn’t quack, it probably isn’t a duck. Likewise, a firearm may look like one thing, especially to people who are unfamiliar with firearms, but that does not mean it is that thing. Mr Healy: The argument put forward is if one is shooting at a paper target, why would one need a 9 mm round to so do when something else might do the same job? One might argue to Usain Bolt that if he wishes to get from the start to the finish line as quickly as possible, he should just use a motorcycle. Mr Bolt might then respond as I would to the assertion above, by pointing out that the rules of the sport prohibit this. Chairman: Head 5 of the Bill discusses shotguns manufactured to hold more than five cartridges. These are in a magazine, which I assume slips into the gun. Mr Healy: A common problem with all firearms with magazines is that the magazines are interchangeable. Today I could have a magazine which complies with the requirements but tomorrow I could put in a different magazine with greater capacity. The nature of the shotgun magazines being discussed is that they are fixed component parts of the shotgun and cannot be readily interchanged. Further, any person purchasing, importing and using a magazine that renders their unrestricted firearm a restricted firearm is breaking the law and would be in possession of an unlicenced restricted firearm, the maximum penalty for which is seven years imprisonment and twenty thousand euros in fines. There are no grounds for implying criminal intent on the part of certified firearms owners like this. Chairman: Meetings have been held and information has been given that shotguns will be taken from virtually everybody. Mr. Healy stated this morning this will not be the case and the legislation is only with regard to high-calibre multi-shot assault weapons and handguns and nothing else. In 2006, when character references were added to the list of conditions for granting a firearms certificate, the Department of Justice Firearms Unit assured applicants that these references would only be sought in cases where a new applicant was applying and there was some question over their application. This in fact was never the case and character references were sought universally, from certified owners who in some cases had been certified by senior Gardaí as being of good character for decades. Instances such as this (and many others) prompt the opinion that such assurances carry no weight. Chairman: It could be argued that people have an emotional attachment to their weapons. This is a rather offensive statement and implication. I’m not a gun enthusiast. I’m a target shooting enthusiast. To explain the difference by analogy, it’s similar to liking golf without having a fetish for golf clubs. Mr Healy: Guns were surrendered to the Army in the 1970s because of the ongoing situation in the jurisdiction and the Army still has these guns. This is not a full representation of the events of 1972. In short, the Troubles in Northern Ireland were becoming a security concern for the Irish government at the time, and in 1972 a Temporary Custody Order (S.I. No. 187/1972 – Firearms (Temporary Custody) Order, 1972) was issued for all privately held pistols and all rifles over .22 calibre to be surrendered to local Garda stations by August 5 1972, for a period of one month. This order was complied with, but when firearms owners returned to reclaim their firearms a month later, they were informed that their certificates had expired while their firearms were in custody (firearms certificates at the time were issued for a period of one year, and all renewals were dealt with at the same time). Since the firearms were no longer licenced, they could not be returned until a new certificate was issued; upon seeking a renewal of their certificates, applicants were informed that a new Garda policy was in place to not consider applications for certificates in respect of pistols or rifles over .22 in calibre. As such, the firearms in Garda custody remained in Garda custody. This situation continued until the late 1990s, when fullbore rifles of calibres up to .270 Winchester were permitted to be applied for for the purposes of deer hunting on humane grounds (prior to this, only the .22–250 cartridge was available for deer hunting and it was felt to be only barely capable of this task). All other firearms held in custody remained there, until the repeal of the Garda policy following the Brophy case. Following this, firearms held in storage by the Gardaí were reclaimed by those owners still alive or their descendants. As these pistols were never formally confiscated (and some were sold off by their owners and removed from Garda custody in that manner), no compensation was claimable by the owners. Following Brophy, the Supreme Court upheld in McVeigh that the policy of not considering applications for firearms certificates for handguns had been unlawful. Mr Healy: There is a provision whereby these guns can be decommissioned, and a superintendent can issue an authorisation to deal with them. The Committee should keep in mind that a decommissioned firearm remains legally considered to be a firearm and as such still counts as a firearm in statistical data, as illustrated on page 21. Mr Healy: The vast majority of people who did not want the guns handed them in to the Garda Síochána during a particular time period when we had provisions to collect them. They were then destroyed by a leading manufacturer in the jurisdiction. Approximately 18,000 handguns were surrendered. It seems probable that Mr Healy is referring to another time period, but I cannot recall or source any report of eighteen thousand handguns being handed into the Gardaí, and since there have never been more than two thousand pistol firearms certificates issued in the state, such a number appears anomalous and clarity should be sought regarding it. Thank you very much for your work, it is so well written and presented, and factual , it gives me some hope to be able to keep our firearms , and participate in the sport I enjoy . Thanks for the kind words Eugene!